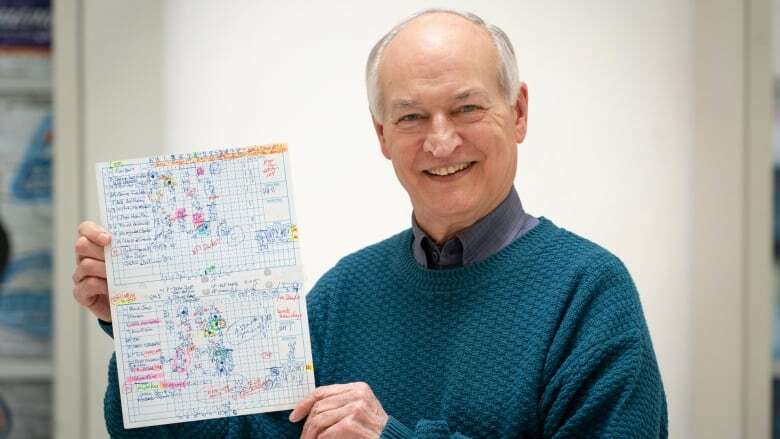 For 36 years, the affable, supremely knowledgeable Jerry Howarth was the voice of the Blue Jays, broadcasting the story of each game as it unfolded. Now retired, Howarth has written about his life in baseball. The title of his new book is his signature greeting, "Hello Friends". Rogers Hornsby, one of the greatest baseball players of the 1920s, once said, "People ask me what I do in winter when there's no baseball. I'll tell you what I do. I stare out the window and wait for spring." Looking out the window in most parts of Canada over the past few weeks might lead one to think otherwise, but the long wait for spring is nearly over. The spring equinox is less than two weeks away. And they're playing baseball in Florida and Arizona. That used to mean Jerry Howarth's voice would soon return to the airwaves. For 36 years beginning in 1982, Howarth handled the play-by-play for thousands of Toronto Blue Jays radio broadcasts, until he hung up his microphone following the 2017 season. 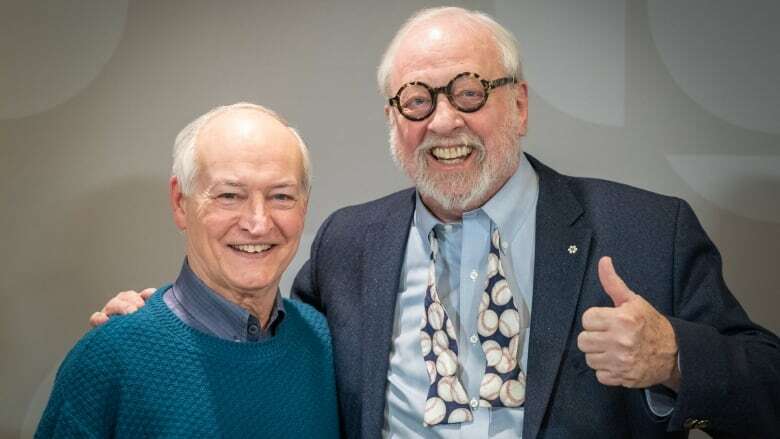 He may have been a much-loved fixture of Toronto's sports media for decades, but as Howarth recounts in his new memoir — Hello, Friends: Stories from My Life and Blue Jays Baseball — he took a very circuitous route to get there. Howarth grew up in San Francisco, got a university degree in economics, spent some time in the army and started law school before he decided his future lay in sports broadcasting. He spent two seasons calling Triple-A minor league ball games in Tacoma, Washington and then Salt Lake City before deciding he was ready for the big leagues. When the Toronto Blue Jays and Seattle Mariners joined the American League in 1977, Howarth applied to be a radio announcer for the Mariners and was bitterly disappointed not to get the job. That's when his wife suggested he apply for the Blue Jays job. "I said, 'Toronto? I don't even know where Toronto is,'" he told Sunday Edition host Michael Enright, adding that geography was not his strong suit. "And she said 'Go to the basement and get the atlas.' So I got the atlas, went to the back of it, went through alphabetically, and found Toronto, Ont., — I had no idea what the 'Ont.' stood for. It said something like page 194, G-4, D-3. So I went to page 194, and I saw Toronto. And I closed it and said 'I'm not applying to Toronto. Not only is it far away, it's in another country.' But she insisted, and here I am. I've now lived 37 years in Toronto, much to my great enjoyment." 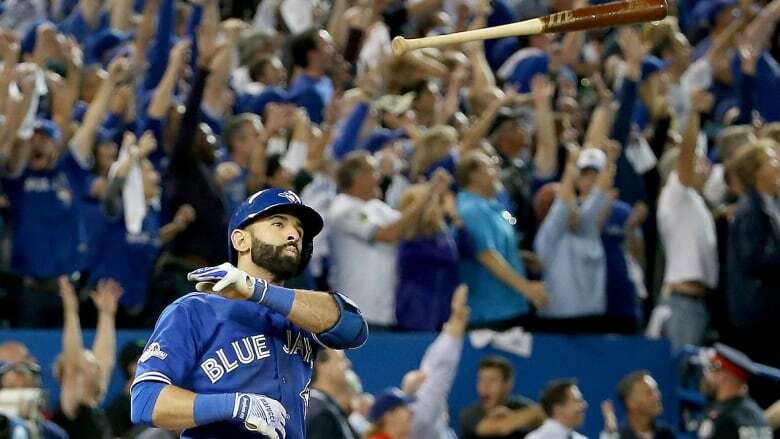 In his time calling games for Toronto, he's witnessed some of the most electrifying moments in recent baseball history — for instance, Joe Carter's 1993 World Series-winning home run, Jose Bautista's 2015 bat flip heard 'round the world and Edwin Encarnacion's walk-off home run to win the 2016 Wild Card game. But perhaps what was most notable about his broadcast of the Bautista home run was what he did not say. After his signature call of "Yes, sir. There. She. Goes," Howarth said nothing more for nearly a minute, allowing the roar of the crowd tell the story for the radio audience. "I think on radio, that's the essence of putting someone in the ballpark. Let them enjoy that crowd noise rather than talk through it or over it. There, that was filled with bedlam and pandemonium and excitement beyond anything I could ever say. And so I let the crowd say it for me. And I know the audience across Canada got to feel that they were there, too."